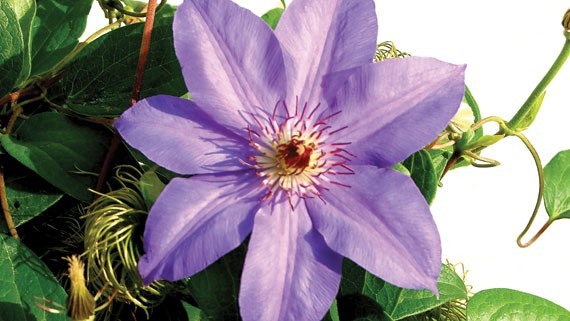 A spectacular clematis that twines 10’ to 12’ skyward, and covers itself in large 6" to 8" blossoms of a light French blue, accented by red stamens. Long blooming, it flowers through July, August and into September. Its dramatic beauty will impress visitors to your garden, and the blossoms are wonderful for cut-flower arrangements.